The Scariest Thing in America This Halloween is not a Ghost or Goblin– it’s Plastic! For more information, contact Caroline Brewer, Director of Marketing and Communications, carolinebrewer@anshome.org or 301-652-9188, ext. 23, or Lisa Goodnight, lglisagoodnight@gmail.com or 301-523-5394. CHEVY CHASE, MD – It’s not the ghosts or goblins that should have us shaking in our boots. Rather, it’s the prediction that our oceans will have more plastic waste than fish in a few short decades if we don’t change. To raise awareness of problems created by too much plastic in the environment, the Audubon Naturalist Society’s environmental education team designed a project with students from three Montgomery County elementary schools to create “monsters” out of plastic to illustrate the major threat to our ecosystem. The monsters will be exhibited at the ANS Woodend Sanctuary, starting at 9 a.m. Halloween morning, October 31. (Please use the 9002 Brierly Road entrance, due to construction work.) At 10 a.m. and 1 p.m., ANS pre-school students will roam the nature sanctuary to capture, and ultimately, dispose of the approximately 20 creepy creatures. 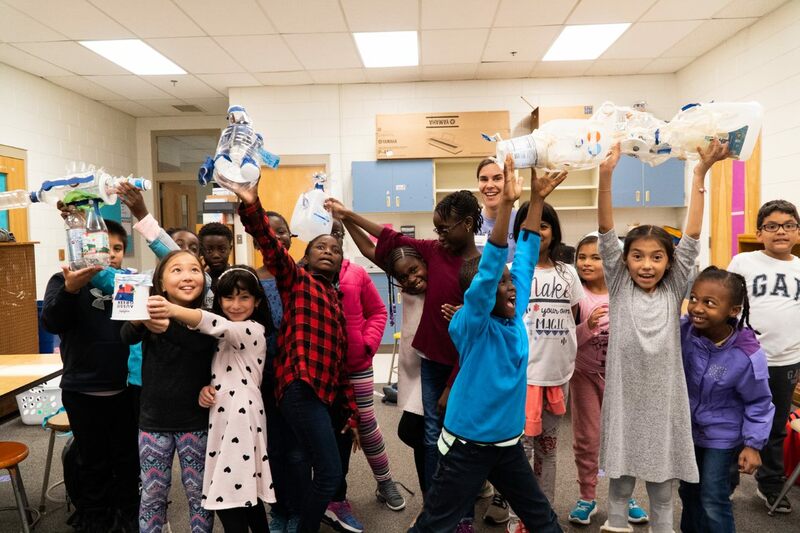 The creatures were made by third, fourth and fifth graders from Captain James E. Daly Jr., Rolling Terrace, and Summit Hall Elementary Schools in Montgomery County through the ANS-led Unplug and Play afterschool program. 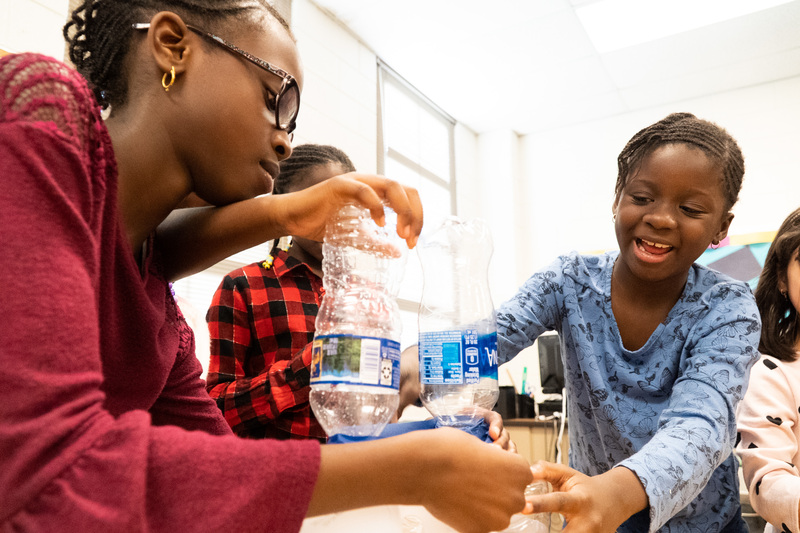 The environmental clubs, which are financially supported by the Montgomery County Council, meet every Wednesday until November 14 and have 48 students. ANS’s Director of Conservation Eliza Cava has written a blog that will debut Tuesday, October 30, in support of D.C. City Council’s proposed ban on plastic straws. The blog, which will be found at this link, includes suggestions about what area residents can do to ward off environmental harm created by plastic waste.